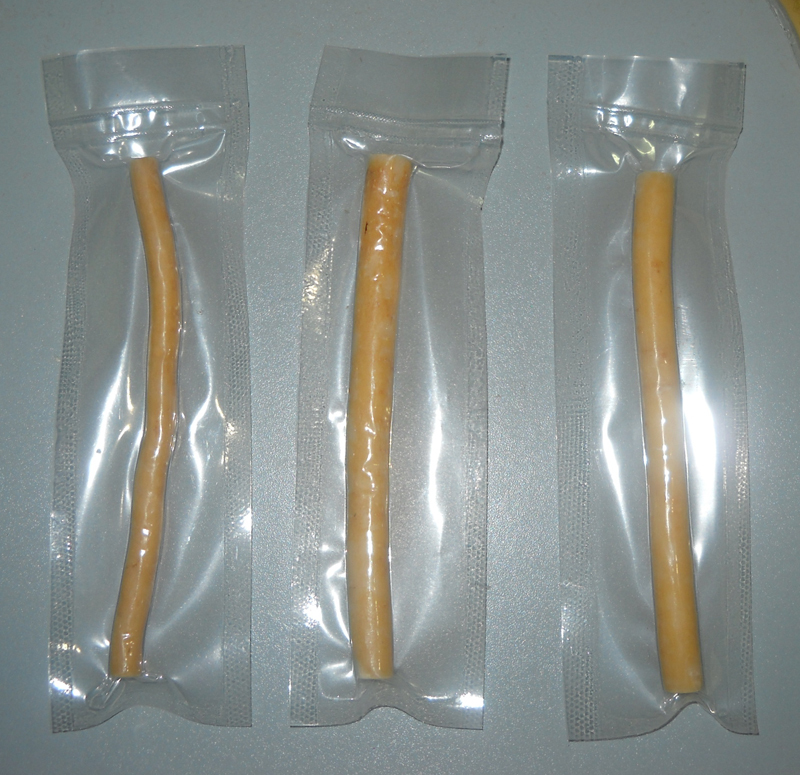 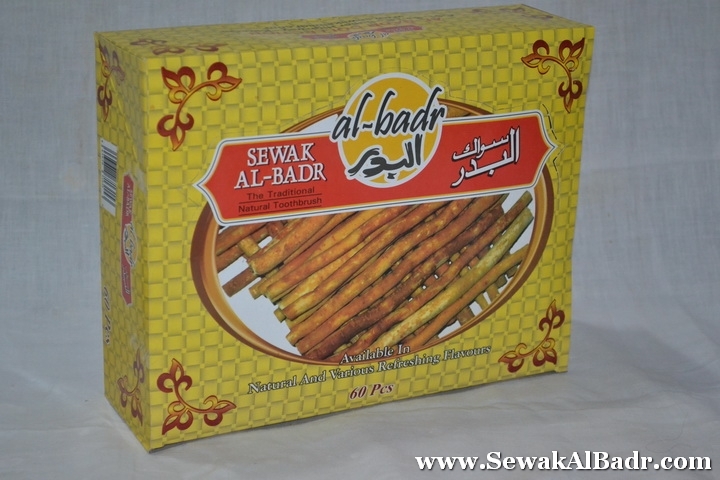 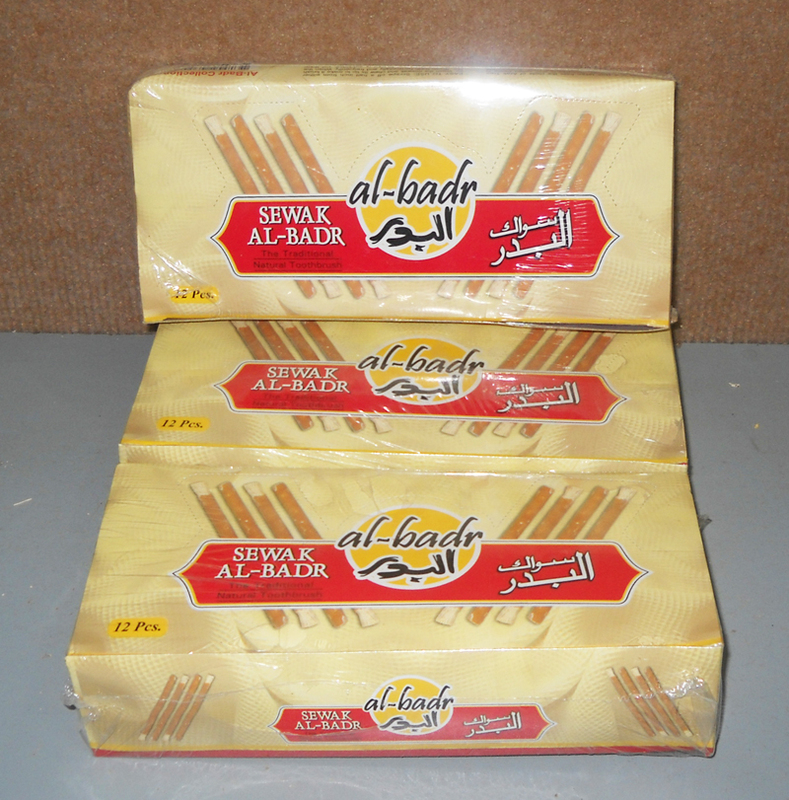 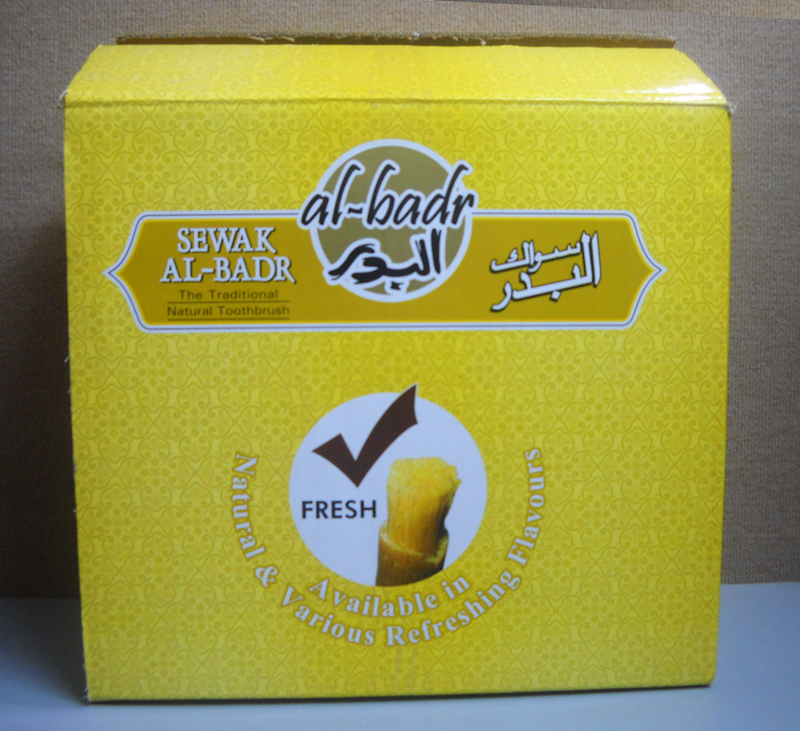 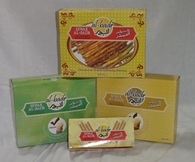 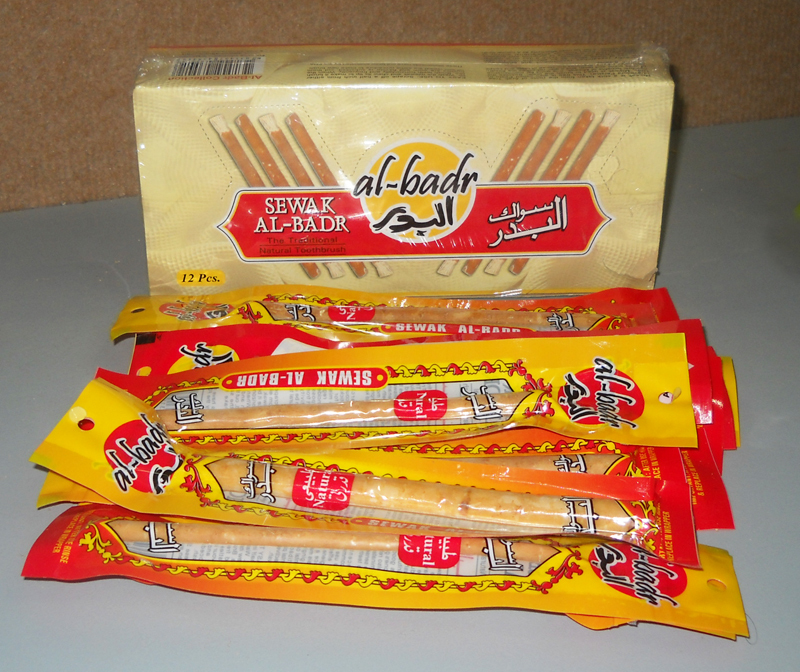 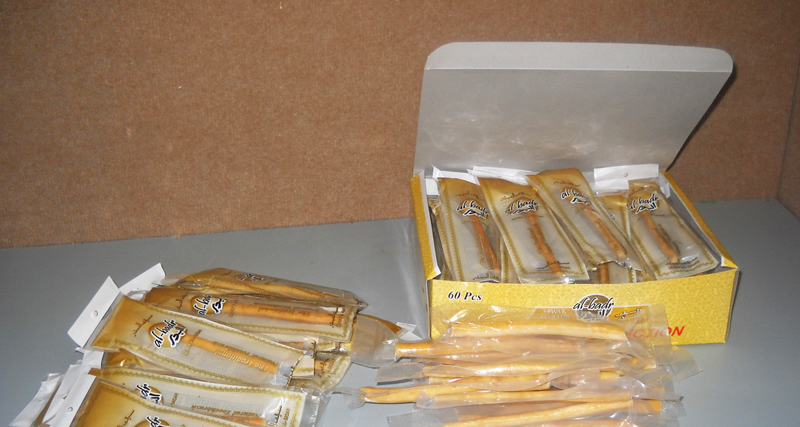 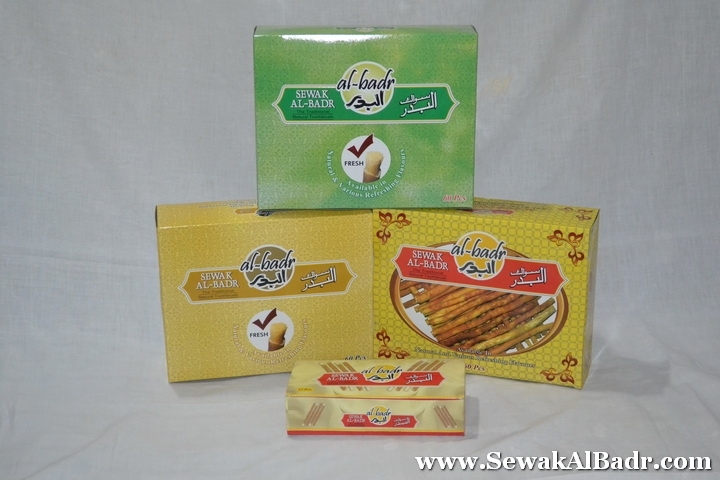 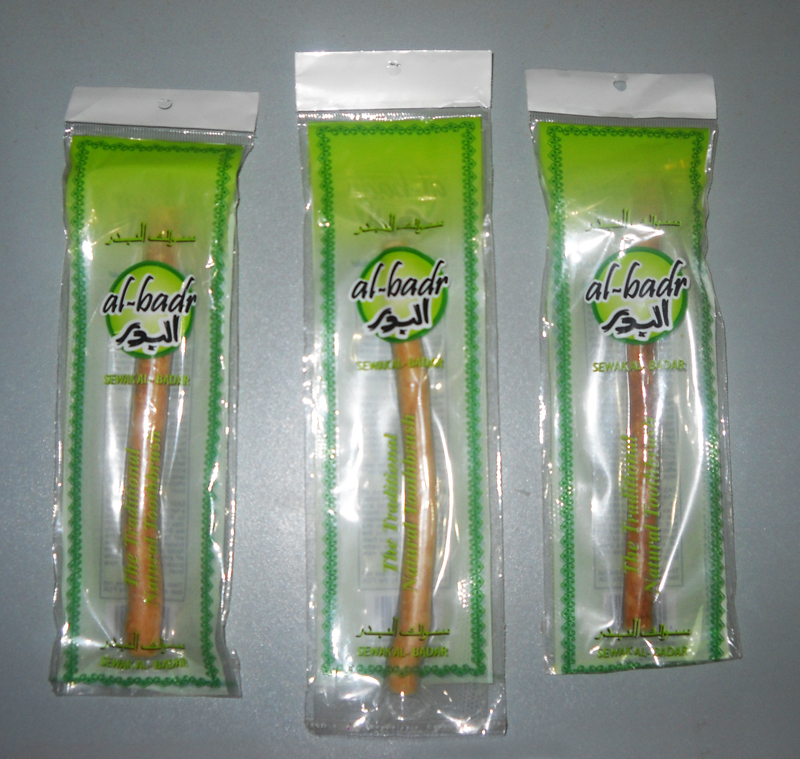 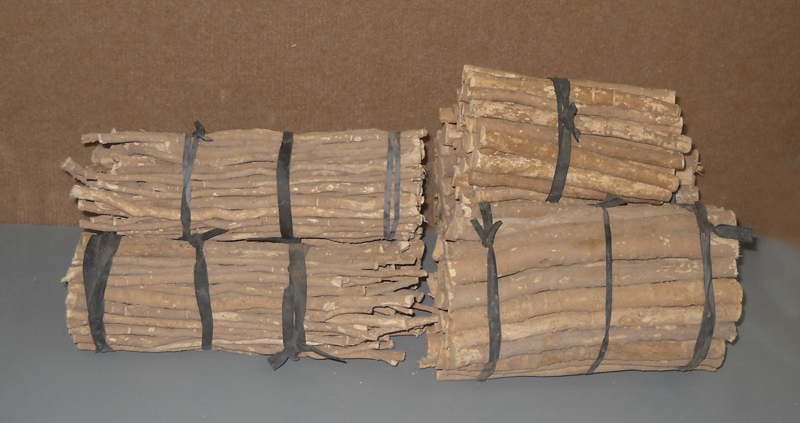 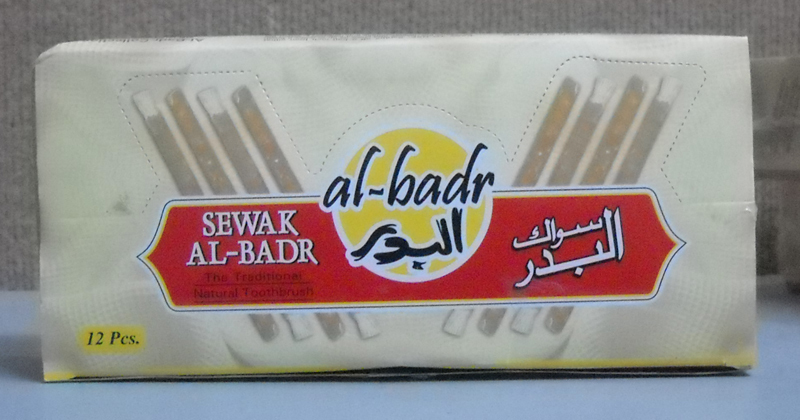 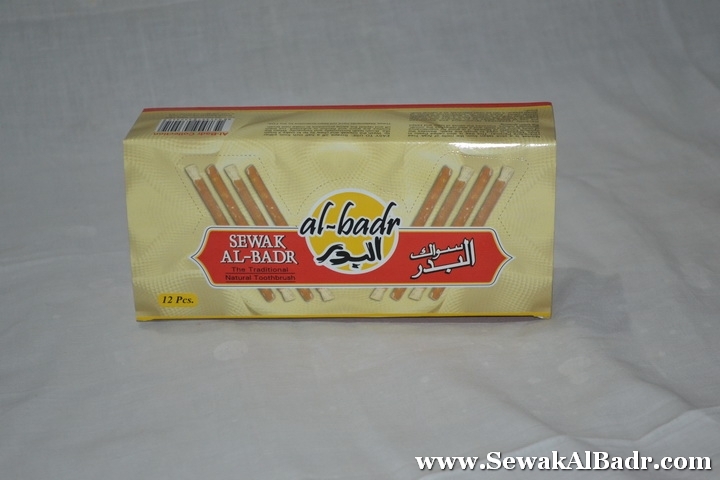 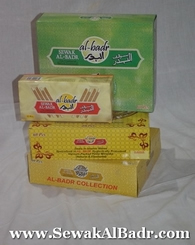 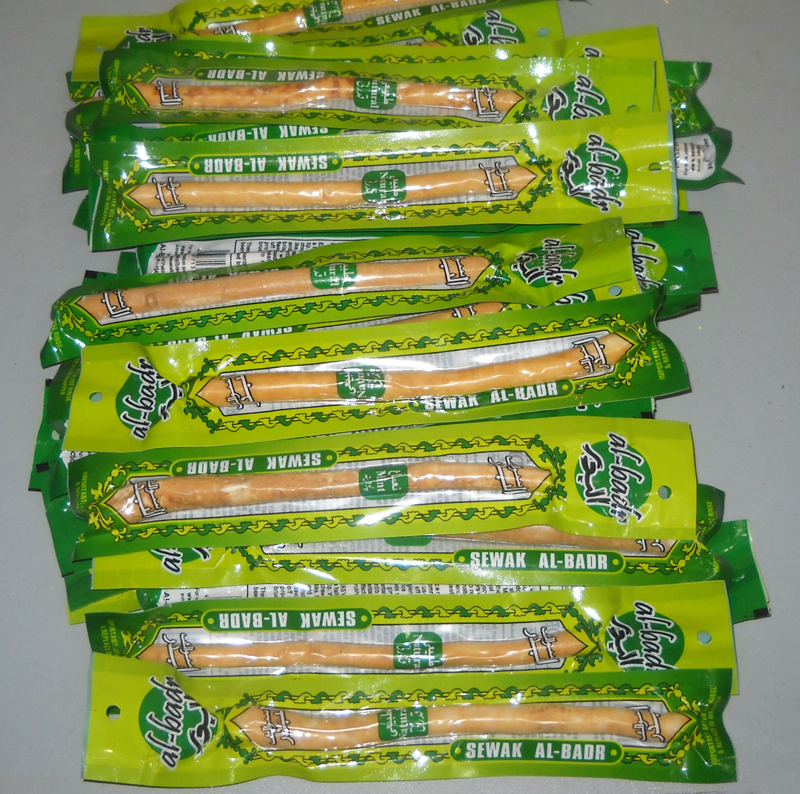 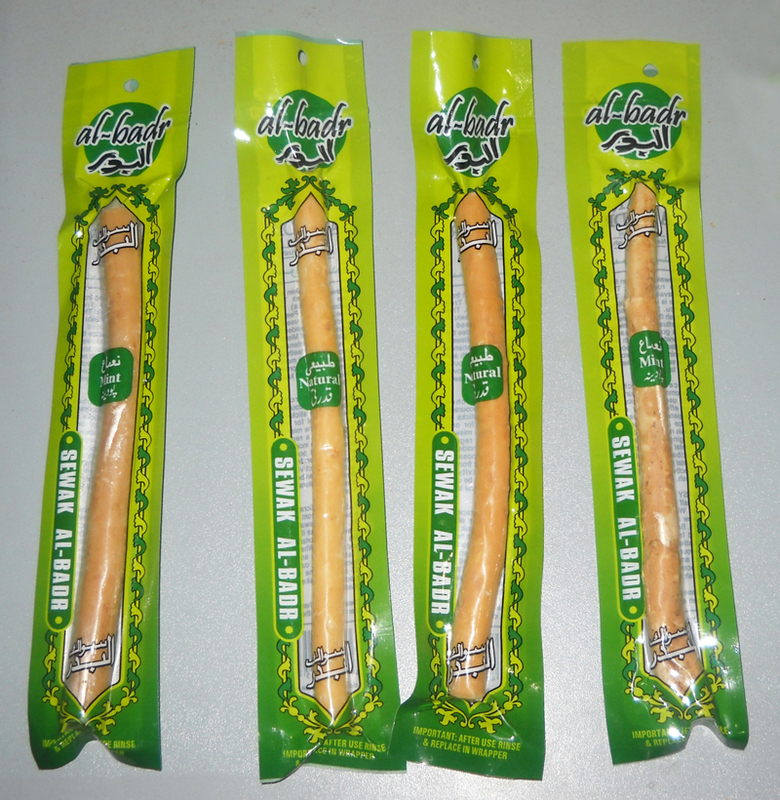 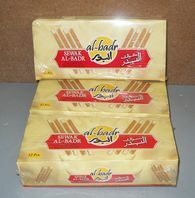 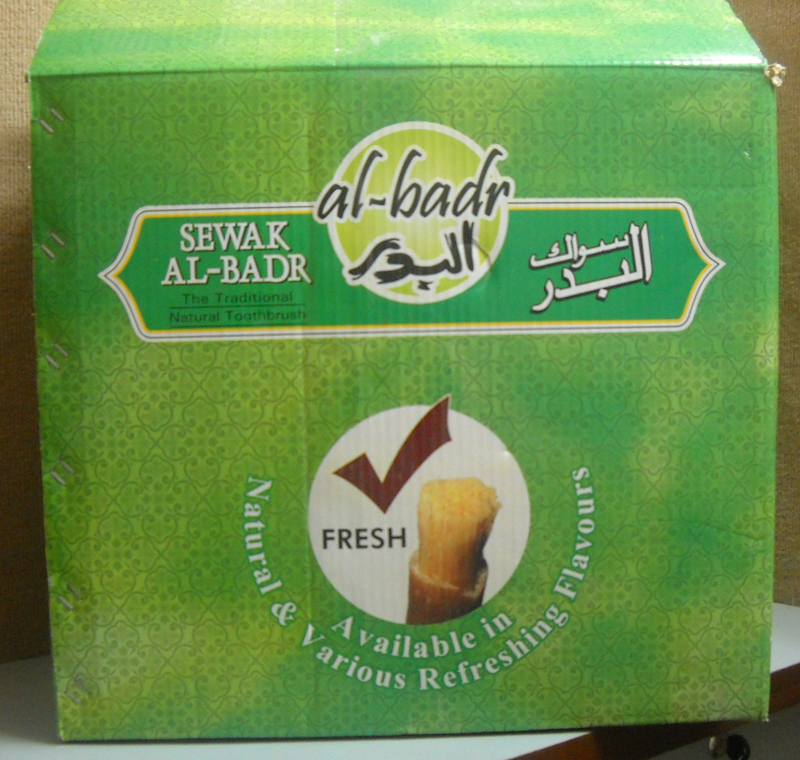 Miswak is a stick taken from the roots of Arak Tree (Slavadora Persica). 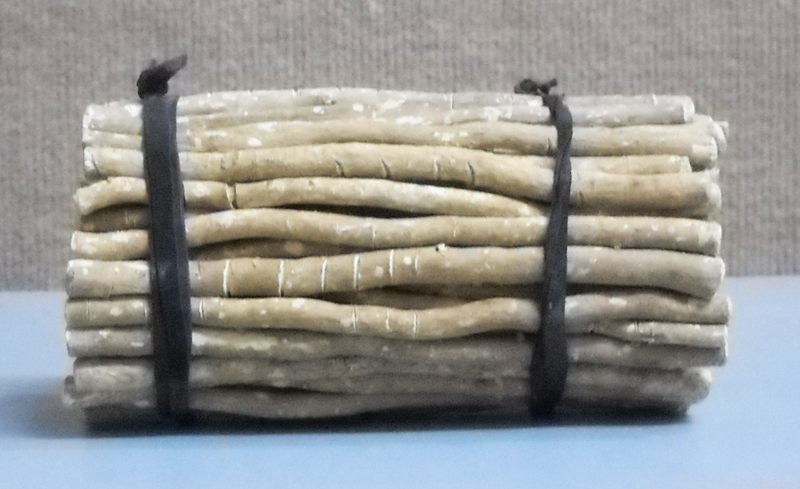 This tree is also called Peelu in Urdu. 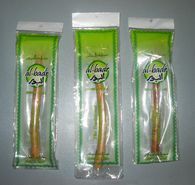 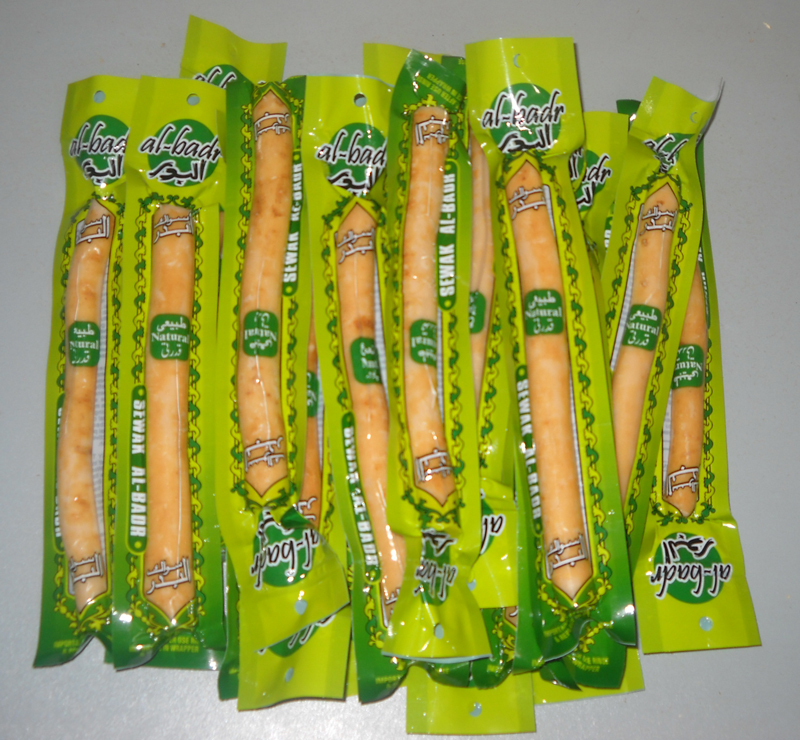 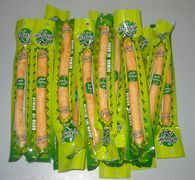 Miswak is used to brush the teeth. 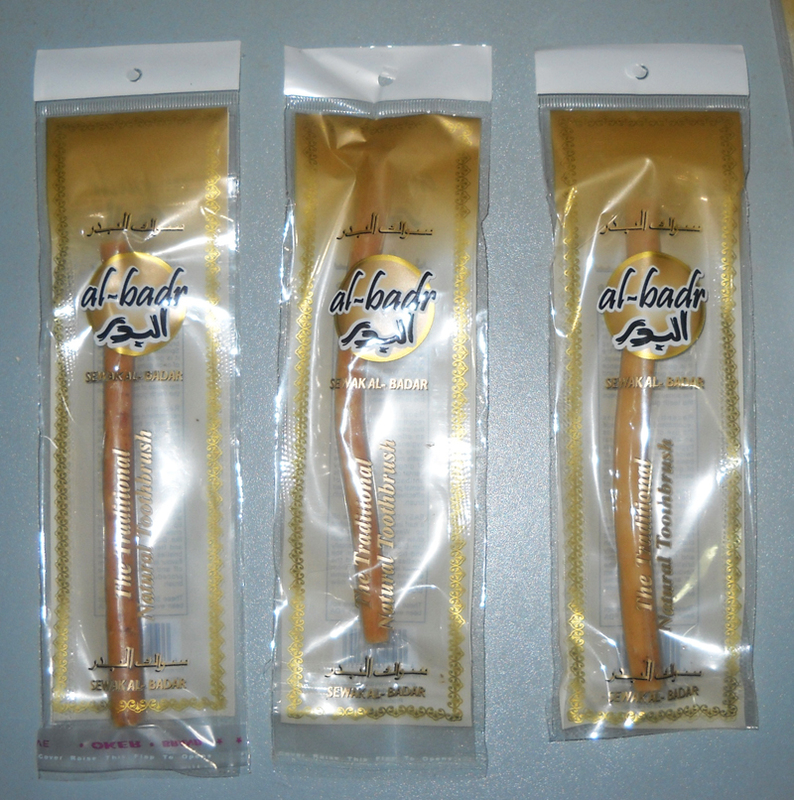 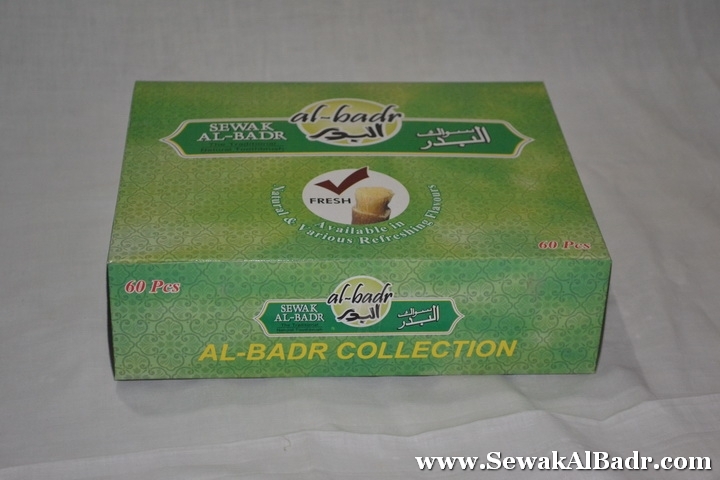 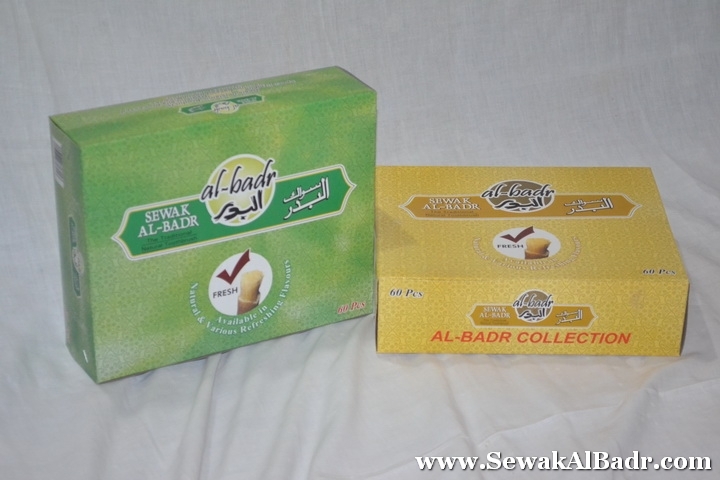 Besides spiritual benefits of Miswak, it is good for maintenance of one's gums and teeth and it also refreshed the mouth, eliminated odors, improves the sense of taste and keeps the teeth glowing. 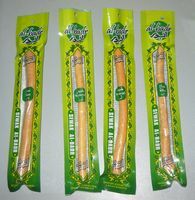 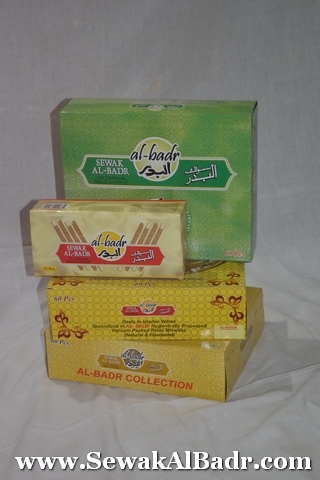 Recently researches recommend and encourage the use of these sticks as an effective tool for oral hygiene. 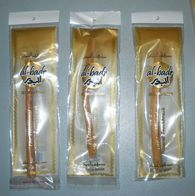 Using the Miswak twice a day on a regular basis may reduce incidence of gingivitis and possibly dental caries. 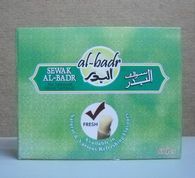 Apart from its antibacterial activity of dental plaque. 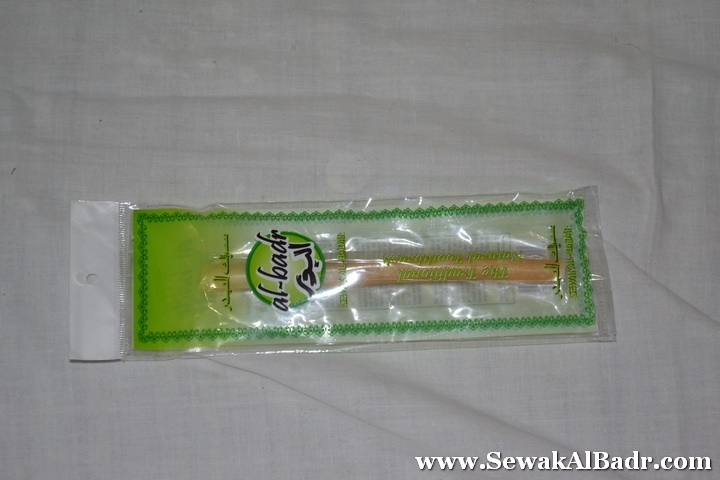 It can be used effectively as a natural tooth brush. 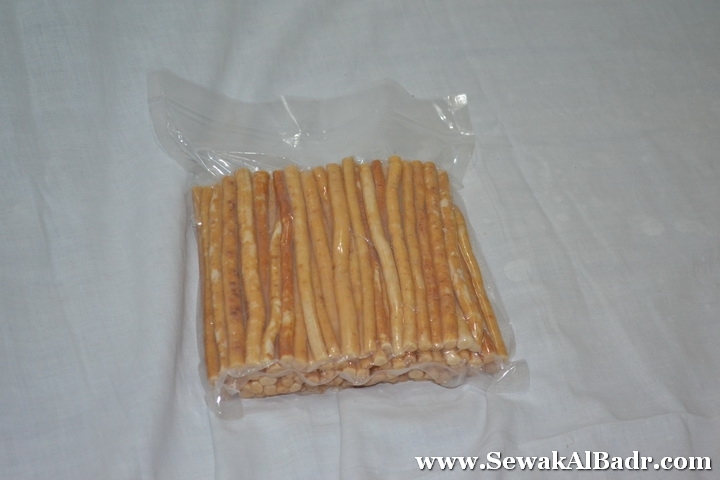 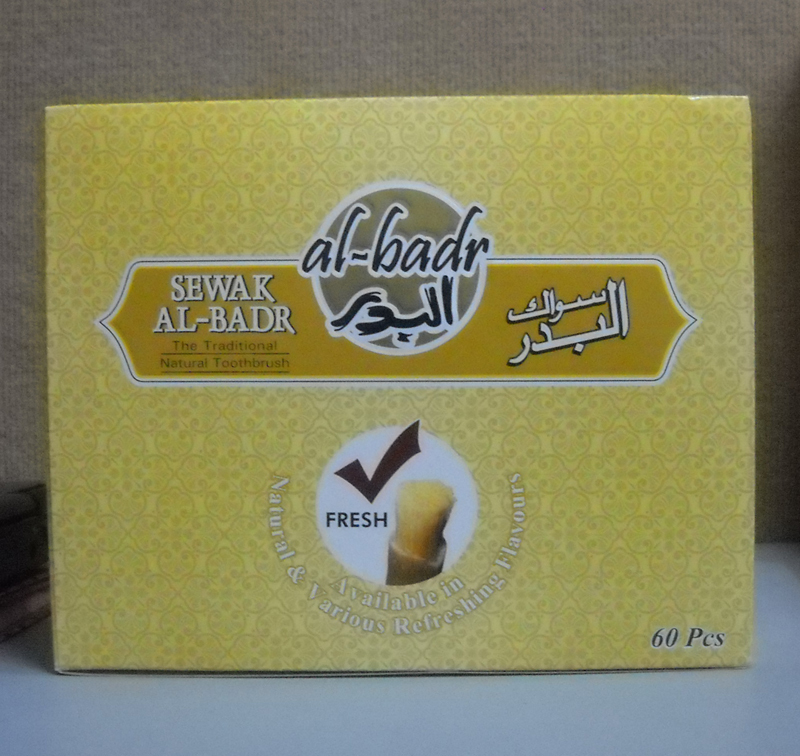 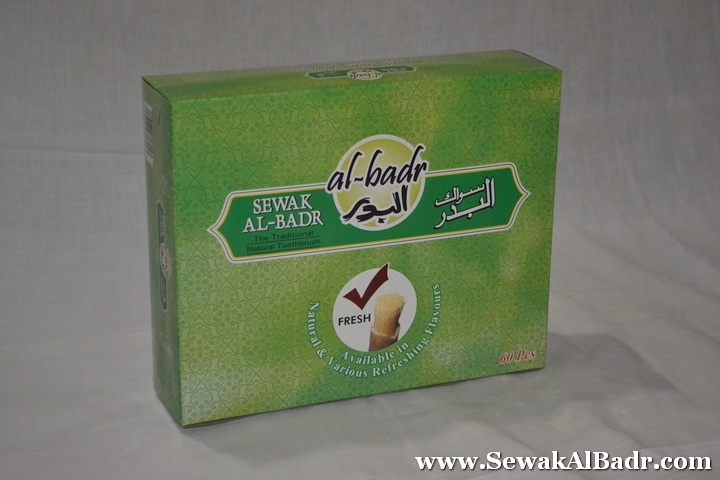 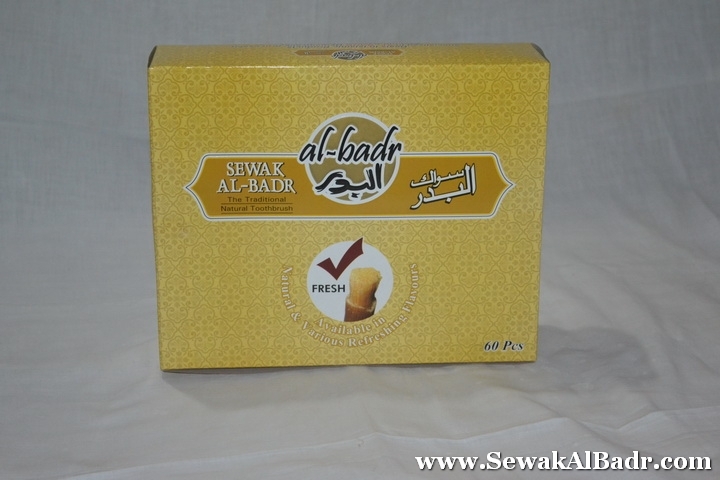 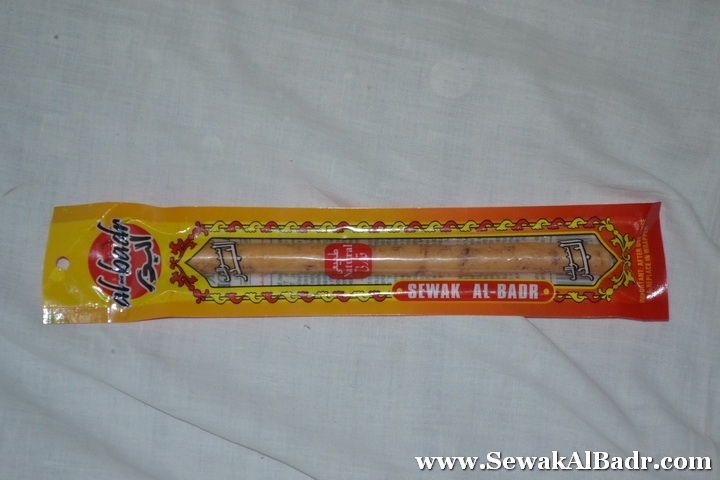 These Miswaks are hygienically processed and vacuum packed in Natural flavor. 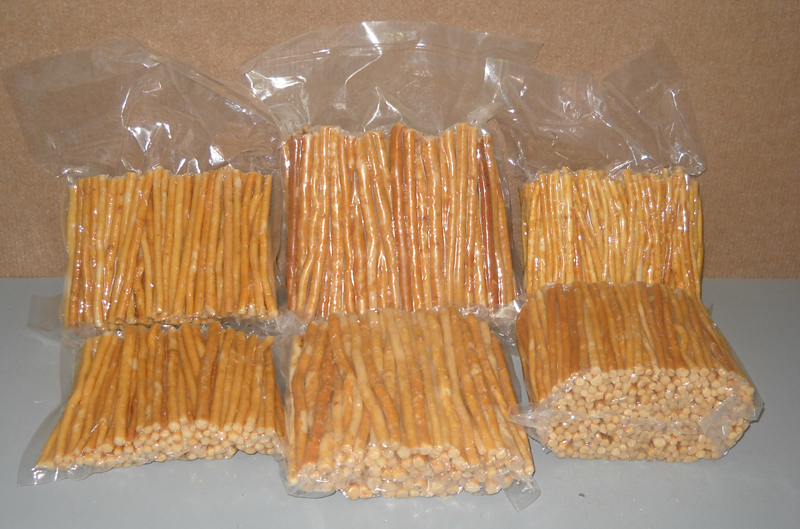 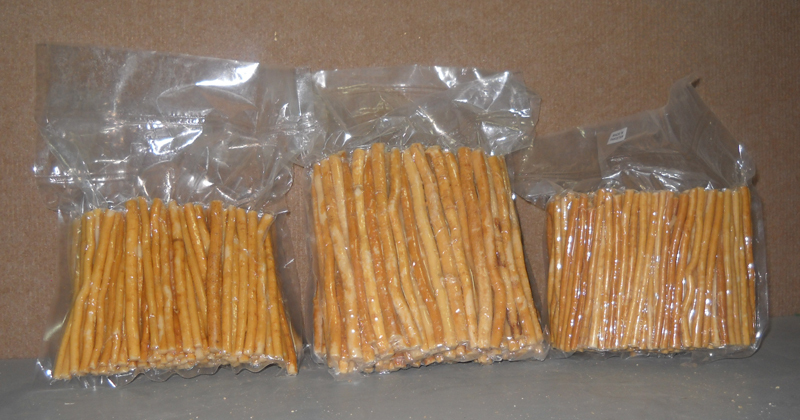 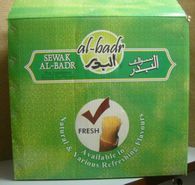 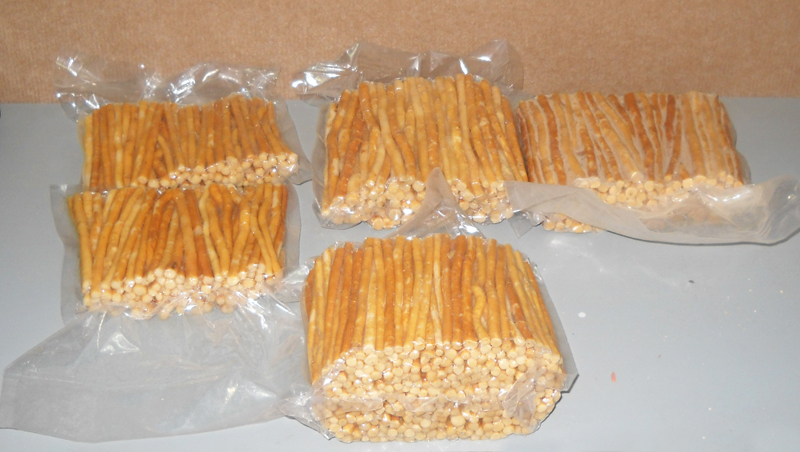 Packing available in Single as well as bulk packing. 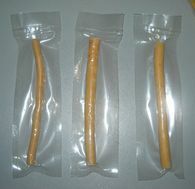 Scrape off a half inch bark from either tip. 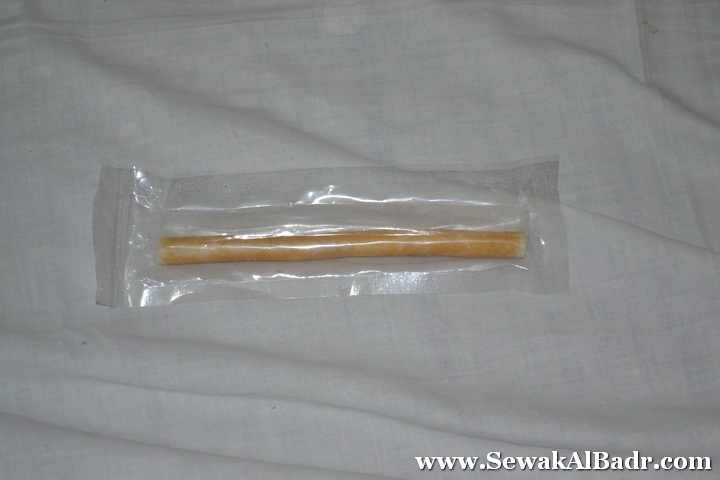 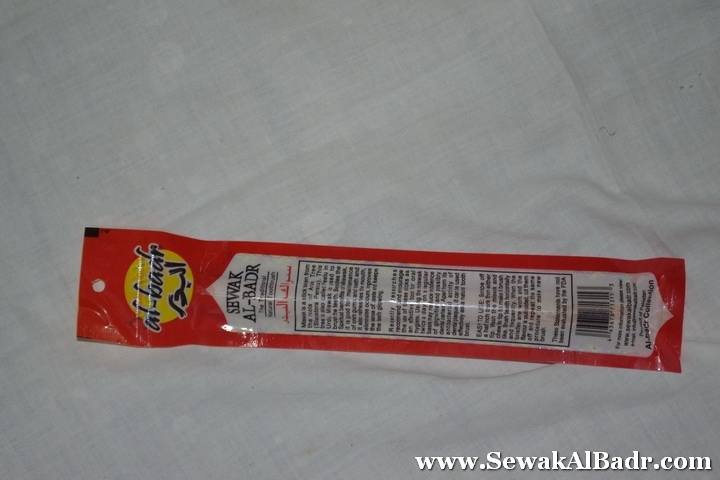 Wash the Miswak and chew its tip to make it brush like. 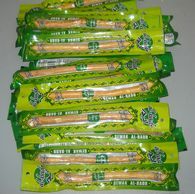 Brush teeth horizontally and frequently. 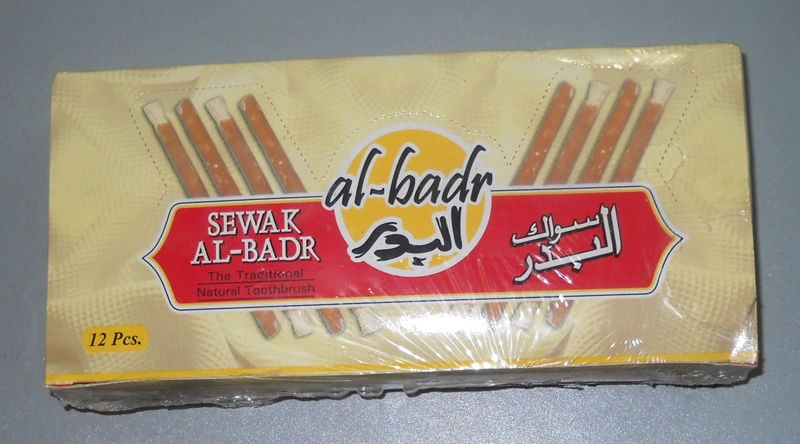 When the bristles are worn and flavor is subsided, cut them off and repeat the same procedure to make new brush.